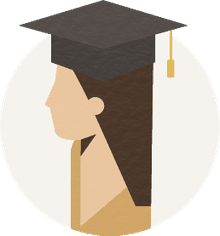 If you're looking for Find GED and High School Equivalency Programs in the United States, ​you'll find information for the states of Connecticut, Delaware, Florida, Georgia, Hawaii, Idaho, Illinois, Indiana, and Iowa here. GED testing in Connecticut is handled by the Connecticut State Department of Education. Connecticut is continuing its partnership with GED Testing Service and offers the computer-based GED test. There isn't a lot of information on the department's website, but you will find links for requesting copies of your records, and a link to the My GED page at GED Testing Service, where you'll find all kinds of information. GED testing in Delaware is handled by the Delaware Department of Education. Adult education is listed with prison education resources. The state is continuing its partnership with GED Testing Service and offers the computer-based GED test. GED testing in Florida is handled by the Florida Department of Education. The state is continuing its partnership with GED Testing Service, offering the computer-based test. Also effective January 1, 2014, requirements regarding GED records went into effect in Florida. You'll find information at the top of the Florida GED website. GED testing in Georgia is handled by the Technical College System of Georgia, TCSG. Georgia is continuing its partnership with GED Testing Service, offering the computer-based GED test. The state is even offering a GED class ring! Information on the TCSG GED website is presented in a very simple format with quick facts in the center of the page and lots of helpful links along the left side of the GED home page. GED testing in Hawaii is handled by the Hawaii Department of Education. The state is continuing its partnership with GED Testing Service and offers the computer-based GED test. Hawaii also offers the new HiSET High School Equivalency Exam. There is an alternative route to earning your high school diploma in Hawaii. It's got a complicated name: Competency-Based Hawaii Adult Community School Diploma Program (CBHACSDP). GED in Idaho is handled by Idaho Professional-Technical Education, or PTE. The state is continuing its partnership with GED Testing Service and, as of January 1, 2014, offers the new 2014 computer-based GED test. Idaho also offers the option of earning a high school equivalency certificate, but you must first pass the GED exam. GED in Illinois is handled by the Illinois Community College Board. The state is continuing its partnership with GED Testing Service and, as of January 1, 2014, offers the new 2014 computer-based GED test. The site provides basic information about earning your GED. Don't miss the link to ged.com, where you will create an account for keeping track of your progress. Effective January 1, 2014, the Indiana Department of Workforce Development switched to the new high school equivalency test developed by McGraw Hill called the Test Assessing Secondary Completion, or TASC. It is computer based, although a paper-based test is available. You'll see reference to PBT (paper-based test). The state formerly offered the GED (General Educational Development) test from GED Testing Service. Indiana provides free programs to help adults learn math, reading, and writing, and you'll find links on the Indiana site to those services. On January 1, 2014, the Iowa Department of Education switched to the new HiSET high school equivalency test developed by ETS (Educational Testing Service). The state formerly used GED Testing Service. Iowa's HSED/GED page is pretty self-explanatory. You'll find everything you need there, including contact info and links to the ​HiSET website. What Are the GED and GED test? Can I Take the GED Test Online?